By the Upper Elementary level, social interaction has become an important part of each student’s school experience. The curriculum emphasizes social cooperation as an important part of the learning process and students are encouraged to work together. Lessons allow for open-ended exploration, giving students a meaningful understanding of and appreciation for each subject. Math becomes more abstract as students delve into advanced concepts such as fractions, decimals, algebra, square and cube roots, geometry, measurement, area and volume. In language arts, students engage in creative and research-based writing and discussions. Children investigate ancient and modern cultures around the world, and use technology to strengthen their computer skills and design real life projects. Class trips are student-designed and based on concepts from the core curriculum. Children engage in entrepreneurial business opportunities to raise funds for travel, charitable giving and student-driven projects. These have allowed students in Upper Elementary to explore such places such as Cincinnati, Stone Lab, Colonial Williamsburg, Washington, D.C, and King’s Island for Math and Physics day. Upper Elementary is for children from 9 to 12 years of age and is the equivalent of 4th, 5th and 6th grade. Class is held from 8:45 AM to 3:15 PM. Elementary Encore is available from 3:15 PM to 6:00 PM. 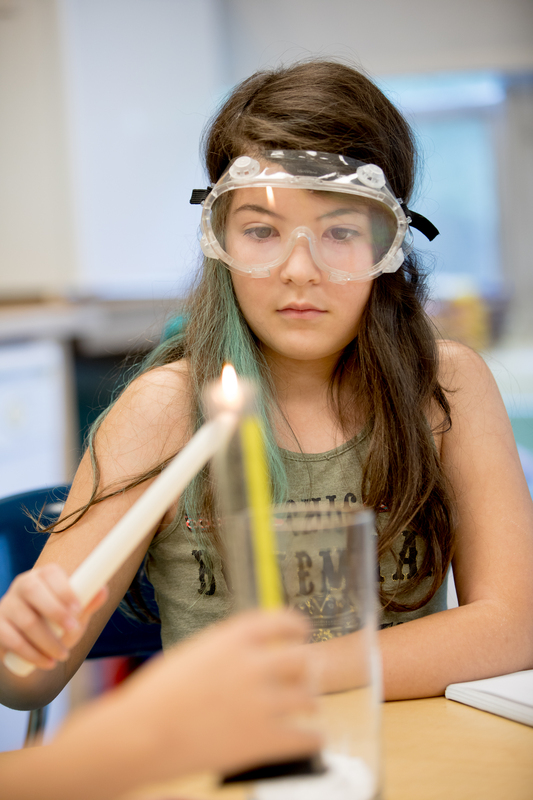 The Upper Elementary environment lays the foundation for the challenging curriculum of the Montessori Middle School.